The advent of Amazon’s explosive growth has ushered in a new era for writers and entrepreneurs. No longer shackled by the restrictions from major publishers, anybody can become an author. They make it all sound so easy. All you have to do is write, upload and BAM… you are an author on Amazon. Of course, nothing in life is quite that simple. Millions of people have published their work on Amazon, but only a select few have managed to become bestsellers. Quality plays an important role, as you would expect. If your work isn’t up to the standard your readers expect, you can’t hope to sell any copies of your book. But it takes more than that…much more. Only best selling authors get noticed. How can you become a bestselling author? You must have an Amazon bestseller strategy in place to get your book noticed, and you can stand out on top of the 800,000 NEW titles that are published every year. It’s a daunting task, but with some patience and a solid roadmap, very doable. Join us as we explore 10 steps you must take to reach the top of the Amazon bestsellers list. Research other books in your niche is one of the first things you must do before publishing your work on Amazon. Have you noticed anything when looking at some of the top-selling books? A lot of them use similar phrases and words in their titles. That’s no accident. There’s a method behind this madness. Many people use Amazon’s search function when they’re looking for new books. They type what they want into the search bar, and Amazon delivers titles related to their search. The books you see at the top of the bestsellers list will often contain keywords that the author’s audience will use when searching. This makes their work easier to find among the millions of books on Amazon. Want to be a Best Seller? Emulate this all important tactic. Amazon even gives you the tools to do it. Just start typing what you think your readers would search for when looking for your book. You’ll see a bunch of suggested searches, which will clue you in on the sorts of things that your future readers are looking for. Put one of those phrases into your book’s title to take your first step towards creating a bestseller. Nobody is perfect. That’s especially true for writers. As great as your work may be, you are human and you’re going to make mistakes. In some cases, you may have a lot of ideas, but struggle to put them down on paper. Or, you may have become so engrossed in your work that you can’t even see the mistakes anymore. You’ve proofread the book so many times that all of the words mesh into one. An editor can help in both situations. Professional editors make it their business to pick faults in your writing. Don’t take it negatively, because finding out where you’re going wrong is what makes you a better writer. A good editor will point out plot holes in your stories, or pick up on the spelling mistakes that you missed. The end result is a professional piece of work that won’t leave people feeling disappointed after buying it. “Don’t judge a book by its cover” we are told. After all, it’s the content that matters, right? We do judge a book by its cover… if we didn’t, we’d open up every book to preview. Your cover will be the first thing your potential readers will see. First impressions count, and a bad cover will turn people off buying your book before they’ve even thought about its content. You’ve lost before you even made it to the starting gate. How do you create not just good, but a spellbinding cover? 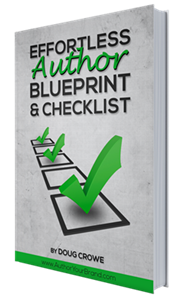 Step 1: Review existing bestsellers in your niche. Pick a few categories and look at the top 10 sellers in each. Study the psychology of the image, words and font. You’ll see that they tend to have fairly similar looking covers. That’s because those covers meet their audiences’ expectations. After you have a few concepts, run a Facebook poll and get honest… brutally honest feedback, of what works, what doesn’t and why. Step 3: Now, apply that line of thinking to your own book. Think about the categories you’ll assign to your work, then take inspiration from the covers that authors who’ve already succeeded in your niche have used. Let’s go out on a limb here. It’s likely that your manuscript is in a Microsoft Word document, or something similar. Most computers come with word processing software, so there’s no reason not to use it. That’s fine, until it’s time to upload your script to the Amazon servers. You’ll soon find that what looks good in Word will become a jumbled mess when you download it from Amazon onto your Kindle. If you’re seeing those problems, so are your readers. Formatting makes a book easier to read, so you need to put some effort into it. Upload your book in the MOBI format. This is the format that Amazon uses for its eBooks, so it’s the best one to use. Do you have a Nook reader? Nobody does… don’t bother with that. Unfortunately, it’s very difficult to get MOBI formatting correct. There’s a whole lot of data on MS word that has nothing to do with your book content or visual display. The extra code is messy during conversion. As a result, it’s best to call on a professional when formatting your work for file conversions and Amazon publishing. For your print version, professional layout artists use Adobe Indesign. If you are not proficient with this software, hire it out. There are so many different book categories on Amazon that it’s easy to get lost. It may feel like your book would fit into a hundred different categories, but you only get to choose two. You have to make those choices count. Part of an Amazon bestseller strategy is choosing a category that doesn’t have a lot of competition, but is still relevant to your niche. Again, it all comes down to research. Check out the books that have achieved what you want to achieve. You’re looking for titles in your niche again. You should be able to see the categories those books are listed under in their “Product Descriptions”. Use those categories as guidance, and then drill down as deeply as you can go. For example, if you’ve written a book on meditation, it won’t get much attention in a bog-standard meditation category. You need to find a category that suits the specific techniques you’ve covered in your work. The description you write for your book is almost as important as the book itself. After all, if you can’t sell your book with your own words, people aren’t going to buy into its content. You have 3,000 words to play around with for your Amazon description. That doesn’t mean you need to use all of them. If you can describe your book in 500 words, that’s exactly what you should do. Loading a description with needless filler could make readers assume your book contains more of the same. Give them a compelling reason to want to learn more… remember to focus on benefits, not features. You have to sell the ‘sizzle’ not the steak. Put your thinking hat on and think about how you can sell your book. Has it got a new idea that people have to hear about? You need to highlight whatever it is that makes your book unique in its description. Don’t be greedy. If you’re looking to publish a 30-page eBook, you can’t expect people to pay $9.99 for it. You may have written the most interesting book in the world, but you’re still charging far more than your audience is going to expect to pay for your work. Think about the size of your book, rather than the size of the royalty from each sale. Furthermore, remember that your first few months will be spent trying to build an audience. If you price yourself out of the market straight away, you can expect to fall into the doldrums of the bestseller list. As a general rule, a lower price leads to more sales. Yes, you earn less in royalties. However, you also get more sales, which edges you closer to the top of the bestseller list. Once you have a good reputation, people may be willing to pay more for your work. For now, price your book based on its size, and whether people know who you are. Now this is an interesting one. When you upload your book onto Amazon, the company gives you the option to join the Kindle Select Program (KDP). This is a 90-day period, during which you can’t sell your book through any other distributors. It also allows Amazon Prime members to access your book for free during the 90 days that it is part of the program. You can also give away your book for free to anybody for five of the days duringwhich it’s enrolled in the KDP. Put some serious thought into whether or not you want to do this. On one hand, you basically lose most of your sales for the book. On the other, you have the chance of reaching an audience that may have been hesitant to buy your book at its full price. Their positive reviews could be the word of mouth you need to spur your book onto the bestseller list. KDP isn’t for everybody. However, it may be worth a shot if you think your book is better than its sales numbers suggest. Your work doesn’t end upon uploading your book onto Amazon. In fact, it’s only just beginning. You need to get the word out there that you have a book, and that people should buy it. There are all sorts of tactics you can use for this. Many people build their own websites to promote themselves, whereas others may invest in a full marketing strategy. These are great ideas, but there’s plenty of things you can do using your social media accounts. Best of all, it’s free. Create an author page and encourage your friends to follow and share you. Stay active on social media and interact with your readers. If your audience sees that you’re responsive, they’ll bond with you. This makes them more likely to recommend you to others, which builds your list of followers. Keep up your efforts, and you’ll develop a strong following on social media. Of course, you can’t forget to sell your book to your followers. After all, having 10,000 people following you doesn’t mean much if they don’t buy your book. Just make sure you maintain a balance between direct selling and building a community around your name and brand. Word of mouth is crucial if you’re going to hit the top of the bestsellers list. You can’t expect people to pay attention to you if nobody is talking about how great your book is. The reviews that readers post will be one of your best marketing tools. Encourage people to talk about your book as much as possible. One of the best ways to get reviews is to give them first. (This is true for just about anything, by the way) Go the extra mile and record a few video reviews of your favorite authors and their books. You may be surprised how many will watch, comment and follow you back! Come back to your social media accounts to start building your review numbers. Run competitions where the cost of entry is one review of your book. As long as the prize is good enough, you should find that plenty of your followers will take a few minutes out of their day to talk about your book. NOTE: It is against Amazon’s terms of service to purchase reviews. Don’t do that… ever. Building your personal brand, so you can stand out in your industry. Turning your readers into advocates, so you can get more referrals. Marketing your content effortlessly, so you can capture more leads. To find out more about how we can help get you started, head over to http://storyselling.me.